The Double paper covering/transformer winding conductor (paper covered) basically used in winding purpose specially for HT and LT windings of Transformers as primary and secondary windings for the purpose of electromagnetic induction by producing alternating flux whose amplitude depends on the primary voltage and number of turns in each winding. Keeping in mind the current market requirements, we are engaged in supplying DPC Aluminum Strips. We offer a wide range of DPC Copper Strips and Aluminum Strips that are acclaimed for their high dielectric strength and good heat conduction. These are soaked in oil and sued on a condition where temperature index is 90°C. These finds their applications in oil immersed transformers. Leveraging to rich industrial knowledge, we are involved in offering a premium range of DPC Aluminum Strip. The strips that we offer are made from electric grade aluminum. Since our commencement, we are immersed in presenting an elite array of DPC Aluminum Strip. Transformers Aluminium winding Wire . With immense market knowledge, we have been able to provide optimum quality DPC Aluminum Wire Strip. 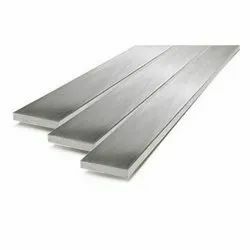 We manufacture Double Paper Covered (DPC) Aluminium Strips with bare dimensions ranging from 5.00 mm x 2.00 mm and upwards, and insulation upwards of 0.30 mm. 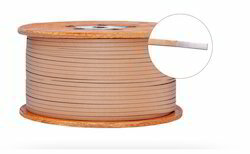 We use only EC Grade Aluminium Wire Rods and Electrical Grade Insulating Kraft Paper manufactured by the most reputed companies.